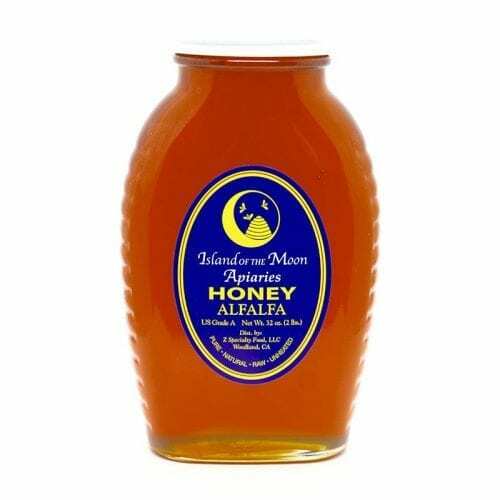 This eight-ounce jar of Island of the Moon Apiaries is full of pure honeycomb surrounded by light, aromatic, California Wildflower Honey. This is how to find your happy place. Enjoy the delightful texture of honeycomb, the only truly raw form of honey. All natural and kosher.